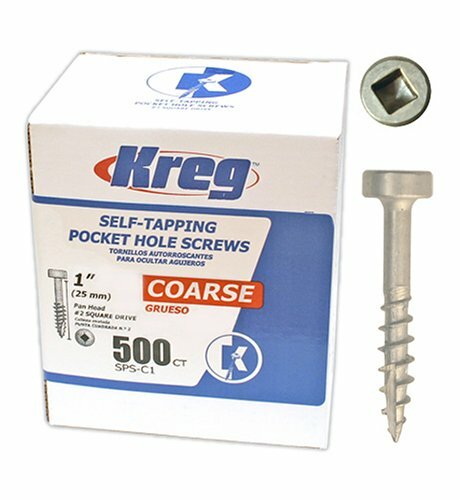 These coarse-threaded face frame screws feature self-tapping auger tips that are designed to eliminate splitting. The pan-head design is slightly smaller than a washer head, making it the preferred choice for thinner material such as 1/2'' stock. Pan-head screws also have a smaller shank diameter, which further reduces the chance of splitting. Zinc finish resists corrosion. Heat treated.